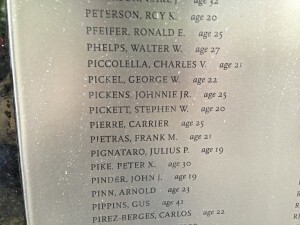 Stephen W. Pickett was 20 years old when he was killed in Vietnam in 1967. Vickie Miano, Stephen’s sister, recalls the day her family learned the news. 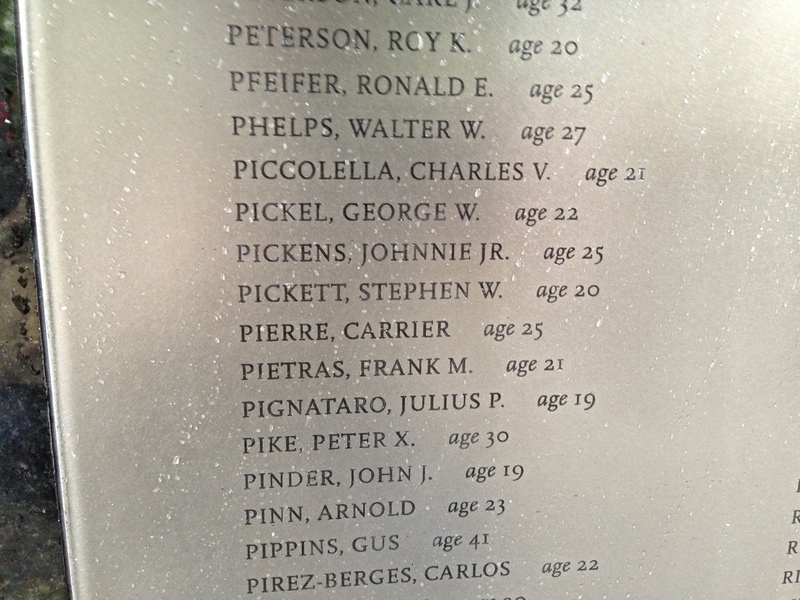 Stephen is honored on Panel 31E, Row 94 of the Vietnam Veterans Memorial in Washington, DC. This story is told on pages 107-110 of Bringing It All Back Home. PN: You knew at this point? VM: We didn’t know anything; he didn’t tell us anything. PN: Your mom didn’t tell you anything at this point either? VM: Right; she was calling my grandparents and said, “Go get your dad.” And so I guess maybe it was another couple hours after that or so–I don’t remember exactly the time period–but by the time that the soldier came back, both my grandparents were there, my father was home, my mother was there and he came to the door. They let him in and–said, “I’m sorry; I regret to inform you or whatever but your son was killed on December 14th.” My grandmother starts screaming; that was her birthday–that is her birthday–was her birthday. My father went–we have–it was a pretty long hallway and then there’s a door to the basement and he opened up the door and he stepped down into the basement and the next thing I knew he put his fist through the wall. My mother was hysterical–just hysterical and my grandfather was just sitting there, you know–he was also crying and stuff. I mean it was just–whew, like I said–37 years ago, but you can remember it as if it was yesterday.